Vinyl plank flooring is an ideal choice for homes, offices, and other spaces that experience high amounts of foot traffic. This is because vinyl plank is 100% water resistant, and provides a superior level of durability. A common choice for kitchens, bathrooms, office waiting rooms, restaurants, and more, vinyl flooring requires minimal upkeep, while still providing the natural, polished appearance of hardwood. And the best part? You won’t have to worry about scratches, dents, or discoloration, since vinyl plank is one of the strongest and most long-lasting flooring options available. As an industry-leading flooring retailer in Edmonton, Alberta, our team at Freedom Flooring is proud to offer eye-catching, premium-quality vinyl plank flooring selections to our customers. We go to great lengths to source vinyl flooring solutions our clients can have confidence in, choosing only the highest-grade selections available. Did you know that you can save almost half the cost of hardwood by opting for vinyl flooring instead? Many of the vinyl options available today resemble hardwood so closely, it’s difficult to see the difference. And with some vinyl plank starting as low as $2.50 per square foot (as opposed to $8.50 per square foot for hardwood), it’s a great way to manage your renovation budget. Vinyl plank is available in a variety of styles, colors, and patterns, making it an ideal choice for almost any space. Whether you’re looking for that classic, glossy hardwood finish, or you want something more textured and grainy, there’s a vinyl plank flooring solution to match your taste. Vinyl flooring is available in a range of styles, textures, and finishes, making it a fantastic option for clients who already have a vision in mind for their space. Vinyl plank is significantly easier to install than hardwood flooring, and it also takes considerably less time to get the job done. In fact, a hardwood flooring installation typically takes days (sometimes weeks) for a flooring company to complete, while vinyl flooring projects can be executed in just a few hours. Additionally, when opting for hardwood flooring, a subfloor foundation must be properly laid, and installers must take into consideration how the natural wood will expand and flex over time. With vinyl plank, however, this is less of a concern, since the material is less susceptible to temperature changes or moisture damage. Vinyl flooring can even be installed over your previous flooring in many cases. At Freedom Flooring, our trained and certified Edmonton flooring installers have the hands-on skills required to complete your flooring project with precision and care. Our team of professionals will come to your home, inspect the current condition of your flooring, and let you know if it will need to be removed, or if your new vinyl plank can be placed over your existing floors. 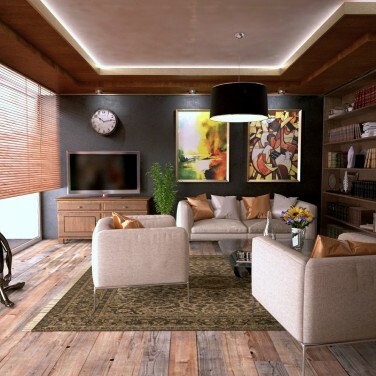 During this consultation, we will also measure your space to determine how much flooring will be required, and assess any unique features that may be of concern. This also allows us to provide you with a detailed, accurate quote so you can properly budget for your flooring installation. From there, our knowledgeable flooring installers will take the time to discuss the installation process with you, giving you an approximate timeline and discussing any preparation that will need to take place. Then, before you know it, it’ll be time to get started. We will recommend the best option for you during the consultation process, and proceed with the ideal approach after proper assessment. HAVE QUESTIONS OR CONCERNS ABOUT OUR INSTALLATION PROCESS? CONTACT US TODAY. WE’RE ALWAYS HAPPY TO PROVIDE MORE INFORMATION. By making sure your space is clean and ready for your vinyl plank installation, you are ensuring that our Edmonton flooring installers can provide you with the flawless finish you’ve been dreaming about. Remove all breakables from the work area, including: mirrors, glass ornaments, musical instruments, family keepsakes, and anything fragile. Make arrangement ahead of time for pets and children to be kept out of the installation area. Remove rugs, drapes, wall hangings, and any other decor items that could fall or get in the way of the installation process. Disconnect all electronics within the installation zone and store them away. Cover any upholstered furniture with bed sheets or plastic to prevent staining from dust and dirt. Our Edmonton flooring installers are dedicated to providing you with a superior level of service, and greatly appreciate your cooperation. By making sure your space is ready, you make it easier for our installers to get started, giving them an ideal environment so they can focus their attention on executing your project with expert craftsmanship. ARE YOU READY TO BOOK YOUR VINYL PLANK INSTALLATION?